Circumnavigating the tax season can prove rough for all companies; nevertheless, small businesses become very vulnerable when we talk about dissecting the issues regarding tax and making optimal decisions regarding the financial health of the company. 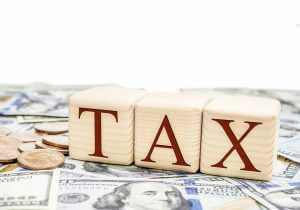 The time to think about tax season is not at the start of the year, it is throughout the year. The following five strategies will help numerous small businesses plan for a very simple tax season. If you are a small business owner, you need to create a retirement plan that takes complete advantage of the tax deferral rules in order to maximize your tax savings now and all the retirement savings for later. Rather than trying to tackle all of the various ins and outs of setting up your retirement plan on your own, it is advised that you consult a professional in this field. There are various options available which you could choose from. Let a professional make this choice for you, not only will they help you with your business finances but with your personal finances as well. Traditional tax planning is comprised of having to accelerate the deductions and the credits. This will occur alongside deferring the income. Numerous taxpayers are “cash taxpayers”, which means that the users get to deduct the expenses when they are all paid and must declare the income once the payment is received. Thus, expediting the expense payments whilst deferring the income payments might improve your current year’s tax position. You need to bear in mind that the inverse also rings true. If the business is anticipating a significant revenue in 2018, it is wise that you collect the income this year and furthermore delay the expenses until the year 2018. Numerous small businesses finish off with a net operating loss during the initial years of the business operation. The net operating loss leads to a tax deduction bigger than the taxable income, which mostly occurs when all of the various business expenses exceed the earnings. Even though this appears to be very bad news, NOLs (Net Operatin Loss) might be used to recuperate all of the past tax payments and reduce the tax payments in the future. NOLs can be used to create tax relief by applying the loss to the payments and receiving a credit by applying the net loss to the future income tax. The rules will vary based on the business; therefore, understanding how to work them will have a huge impact. All fringe benefits, for instance: a company car and subsidized meals along with insurance, is an amazing way to pay for all of the services along with decorating an even more appealing employee package. Nevertheless, all of these various fringe benefits are taxable most of the time. Having an in-depth knowledge of which fringe benefits lie outside of the taxable demesne might ease the tax burden each year. When small businesses appreciates the benefits, you will also be able to save money on the payroll taxes. The tax rules for every user are somewhat different, therefore it is important to select the correct fringe benefits for your company. Planning all of your taxes should never be an end of the year scramble. As an alternative, it should involve a reliable and yearlong conversation with a tax lawyer or a professional accountant. It is better for the continued health of the business to work with a professional who has been in the industry for a long period of time who also knows the ins and outs of the industry. You will also save a huge amount of money when you work with a professional.